Kevin Beaver is an information security consultant, writer, professional, speaker and expert witness with Atlanta-based Principle Logic LLC. Stephen J. Bigelow, senior technology editor in the Data Center and Virtualization media group, has more than 20 years of technical writing experience in the PC/technology industry. Bridget Botelho joined TechTarget as a reporter in 2007 and has covered a variety of technologies and IT industry trends. Michael Cobb , CISSP-ISSAP is a renowned security author with more than 20 years of experience in the IT industry. Jamison Cush is the Executive Editor of Products Content at TechTarget. Steve Damadeo is the manager of IT infrastructure and business relationship management. He is a contributor for SearchVirtualDesktop. Paul DeGroot is principal consultant at Pica Communications. Eugene Demaitre is associate managing editor for SearchEnterpriseDesktop.com, which covers Windows systems and other IT developments. He also works on special projects. Ramin Edmond is a news writer for TechTarget covering enterprise mobility. Email him at Redmond@TechTarget.com or follow him @TheRealRamin. Dan Franciscus is a systems engineer with expertise in Puppet and several Microsoft-based technologies, such as PowerShell and Active Directory. Alexander S. Gillis is an assistant technical writer and editor in the Cloud and DevOps group at TechTarget. Michael Gregg of The Solution Firm has extensive experience securing networks. You can confidentially ask him your corporate network security questions here. Jo Harder has been involved with virtualization for over 19 years. She focuses on Citrix virtualization solutions and has been a Citrix Technology Professional (CTP) for four years. Tanner covers product launches, updates and news for TechTarget's products content team. Jonathan Hassell is an author, consultant and speaker, and has a strong background in Windows Vista. Laura E. Hunter (CISSP, MCSE: Security, MCDBA, Microsoft MVP) is a technology architect at Microsoft. Diana Hwang is a content development strategist for the Networking and Security Media Groups. Jerry Jackson is the managing editor of all the TechnologyGuide websites. Maggie is executive editor at TechTarget. She is a 2011 graduate of Assumption College, where she majored in English literature and minored in philosophy. With more than a decade of professional experience in the IT industry, Don is the author of more than 30 IT books. Matt Kosht is an IT manager at a Michigan utility company. Alicia Landsberg is a senior products editor in the Cloud/DevOps and Data Center End User Computing media groups. George Lawton is a journalist based near San Francisco, Calif. Over the last 15 years he has written over 2,000 stories for publications about computers, communications, knowledge management, business, health and other areas which interest him. Kim Lindros is a full-time content developer who writes about security and technology topics. Eddie Lockhart is the Site Editor for SearchEnterpriseDesktop.com and SearchMobileComputing.com. Tim Mangan is the founder of TMurgent Technologies. Nick Martin is Editorial Director for the IT Infrastructure and Strategy Media Group. Ryan McLaughlin is the assistant editor for the endpoint and virtualization sites. Theresa Miller has been working as an IT professional and technical expert for over 20 years, and is the founder and CEO of 24x7 IT Connection, LLC. She is a Citrix CTP and VMware vExpert, holds an MBA, and speaks frequently at industry events, including BriForum. Erica Mixon is the site editor for SearchEnterpriseDesktop and SearchVirtualDesktop. Yuuki Nishida is an editorial assistant for SearchEnterpriseDesktop, SearchMobileComputing and SearchVirtualDesktop. Gary was named a Microsoft MVP for 12 consecutive years and is currently chairman of the annual Atlanta TechStravaganza event. Beth Pariseau is a senior news writer for the Cloud/DevOps group at TechTarget. Brien Posey is a 15-time Microsoft MVP with two decades of IT experience. He has served as a lead network engineer for the U.S. Department of Defense and as a network administrator for some of the largest insurance companies in America. John Powers is the assistant site editor for SearchMobileComputing and a University of Maryland alumnus. Alyssa Provazza is an executive editor for TechTarget's Enterprise Software and Services Group. Previously at TechTarget, Alyssa was a site editor covering mobile and desktop computing. Michael Rasmussen is founder of Corporate Integrity LLC, a leader in education, research, analysis and advisory services monitoring the challenges and trends of the business roles accountable for corporate governance, enterprise risk management, and compliance (GRC). Michael is a sought after thought-leader, keynote speaker, author, collaborator and one of the industry's foremost authorities in understanding GRC. Margaret Rouse writes for and manages WhatIs.com, TechTarget’s IT encyclopedia and learning center. Ed Scannell is a Senior Executive Editor of TechTarget's Data Center and Virtualization media group. Jesse Scardina is a news writer covering business applications for TechTarget, focusing primarily on Salesforce and other CRM providers. Margie Semilof is the editorial director for TechTarget's Data Center and Virtualization media group. Nirmal Sharma is a MCSEx3, MCITP and was awarded the Microsoft MVP award in Directory Services and Windows Networking. Robert Sheldon, technical consultant and freelance technology writer, has written numerous books, articles and training materials. Jan has covered the computer industry for more than 20 years, writing about everything from personal computers to operating systems to server virtualization to application development. Kelly is the assistant site editor for the End User Computing media group. She graduated from Mount Holyoke College with experience in journalism and social media. Dan Sullivan is an author, systems architect, and consultant with over 20 years of IT experience. He creates tips and advice about cloud computing. Ed Tittel has worked for over 30 years as a software developer and development manager, a networking consultant, a trainer and course developer, and a technical evangelist for several companies. 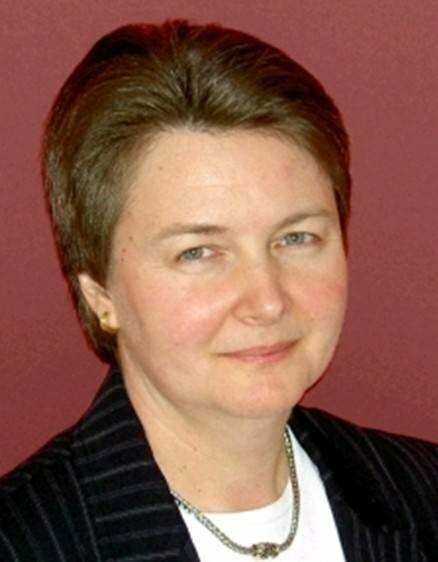 Christina Torode is editorial director of TechTarget's CIO/IT Strategy media group. Senior news writer Jack Vaughan writes stories and helps oversee editorial coverage for SearchDataManagement, SearchOracle and SearchSQLServer.